China is rushing through a foreign investment law in an apparent attempt to placate Washington as negotiators try to dig the world's two largest economic powers out of an ongoing trade war. But will it work? 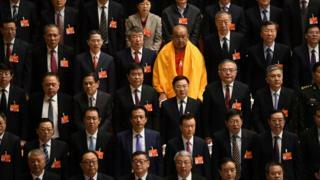 The 3,000 or so delegates to China's annual National People's Congress (NPC) endorsed the new law on Friday. They don't oppose legislation. That's not how it is done here. But this law isn't going to help everyone. Those here with long memories know this and are approaching the new law with an understandable level of caution.